New York City, NY, USA -- Part of the allure of Donald Trump, the Republican nominee in the upcoming U.S. elections, comes from his being wealthy, very wealthy. Books tell us about his incredible endurance and resilience after business bankruptcies brought his net worth down to minus $900 million, as he admitted to former wife Marla Maples when they were strolling along New York's Fifth Avenue in the early 90s. Furthermore, the media doesn't get tired of calling Donald J. Trump a billionaire, again and again. How do they know Trump is a billionaire? Forbes gave once an overview of its methodology, "We keep track of their moves: the deals they negotiate, the land they're selling, the paintings they're buying, the causes they give to. Securities & Exchange Commission documents, court records, probate records, tax records, federal financial disclosures and Web and print stories-we dig through them all. In calculating wealth, we put a price on all assets, including stakes in public and privately held companies, real estate, art, yachts and planes." Did I read tax records? In Trump's case, this small detail might have been missing for decades, as he has proclaimed his taxes are none of the American public's business. Trump himself has discounted Forbes's calculations for a different reason. "I think that they are very good people. I like the people at Forbes. They don't know a lot of the things I own. I don't think they give me any value for brand and my brand is very valuable. I do deals - I'm doing deals right now. In fact, when I leave you, I'm signing a branding deal that's a phenomenal, tremendous hundreds of millions of dollars in value, all because of my brand," said Trump to CNBC's John Harwood. What type of assumptions is Forbes doing to estimate Trump's wealth when they don't have access to his tax returns? Are they only relying on statements prepared by Trump himself or his advisors? What about if the estimates are way too high? In 1976, The New York Times published a fawning profile of Trump in which he was quoted as saying he was worth $200 million; that figure was utterly false, according to examination of Trump's finances in 1981 by the Casino Control Commission. Journalist Timothy O'Brien is among the few who saw Trump's tax returns yet he is legally prevented from talking about them in detail; he has implied that Trump's income is much lower than he often suggests; as expected from Trump, O'Brien was sued for libel after he claimed in a 2005 book that Trump's real net worth was as low as $150 million-$250 million. For a man that has attempted to persuade America of his $10 billion net worth, the lower range falls into the plausible. It is time to stop this part of the Trump's mythology once and for all. What about if the media stops calling Trump a billionaire until he releases his tax returns and proves he deserves that label? What about if Trumps agrees to an audit from an independent body that can obtain access to all relevant information? The onus is on Trump. Knightmare on Wall Street, is a thrilling minute-by-minute account of the terrifying hours following Knight Capital's August 1, 2012 trading debacle, with news-breaking research regarding the firm's 17 years of tumultuous existence as an independent company. Knightmare on Wall Street is the definitive behind-the-scenes story of Knight Capital. High-frequency traders have been called many things-from masters of the universe and market pioneers to exploiters, computer geeks, and even predators. Everyone in the business of investing has an opinion of speed traders, but how many really understand how they operate? The shadow people of the investing world, today's high-frequency traders have decidedly kept a low profile-until now. In this new title, The Speed Traders, Mr. Perez opens the door to the secretive world of high-frequency trading (HFT). Inside, prominent figures of HFT drop their guard and speak with unprecedented candidness about their trade. Mr. Perez begins with an overview of computerized trading, which formally began on February 8, 1971, when NASDAQ launched the world's first electronic market with 2,500 over-the-counter stocks and which has evolved into the present-day practice of making multiple trades in a matter of microseconds. He then picks the brains of today's top players. John Netto (M3 Capital), Manoj Narang (Tradeworx), and Aaron Lebovitz (Infinium Capital Management) are just a few of the luminaries who decided to break their silence and speak openly to Mr. Perez. Virtually all of the expertise available from the world of speed trading is packed into these pages. The Speed Traders, published by McGraw-Hill, is the most comprehensive, revealing work available on the most important development in trading in generations. High-frequency trading will no doubt play an ever larger role as computer technology advances and the global exchanges embrace fast electronic access. The Speed Traders explains everything there is to know about how today's high-frequency traders make millions-one cent at a time. He is author of Knightmare on Wall Street, The Rise and Fall of Knight Capital and the Biggest Risk for Financial Markets (2013), and The Speed Traders, An Insider's Look at the New High-Frequency Trading Phenomenon That is Transforming the Investing World, published in English by McGraw-Hill Inc. (2011), Published in Mandarin by China Financial Publishing House (2012), and Investasi Super Kilat, published in Bahasa Indonesia by Kompas Gramedia (2012). 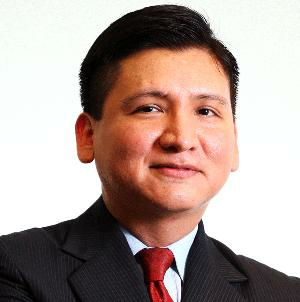 Mr. Perez is course director of Cybersecurity Boardroom Workshop, How Boards of Directors and CXOs Can Build the Proper Foundation to Address Today's Information Security Challenges, and The Speed Traders Workshop, How High Frequency Traders Leverage Profitable Strategies to Find Alpha in Equities, Options, Futures and FX; he has presented his workshops in Singapore, Hong Kong, Sao Paulo, Seoul, Kuala Lumpur, Warsaw, Kiev, New York, Singapore, Beijing, Shanghai. He contributes to The New York Times and China's International Finance News and Sina Finance. Mr. Perez has presented to the Council on Foreign Relations, Vadym Hetman Kyiv National Economic University (Kiev), Quant Investment & HFT Summit APAC (Shanghai), U.S. Securities and Exchange Commission (Washington DC), CFA Singapore, Hong Kong Securities Institute, Courant Institute of Mathematical Sciences at New York University, University of International Business and Economics (Beijing), Hult International Business School (Shanghai) and Pace University (New York), among other public and private institutions. In addition, Mr. Perez has spoken at a number of global conferences, including Cyber Security World Conference (New York), Inside Market Data (Chicago), Emerging Markets Investments Summit (Warsaw), CME Group's Global Financial Leadership Conference (Naples Beach, FL), Harvard Business School's Venture Capital & Private Equity Conference (Boston), High-Frequency Trading Leaders Forum (New York, Chicago), MIT Sloan Investment Management Conference (Cambridge), Institutional Investor's Global Growth Markets Forum (London), Technical Analysis Society (Singapore), TradeTech Asia (Singapore), FIXGlobal Face2Face (Seoul) and Private Equity Convention Russia, CIS & Eurasia (London). Mr. Perez has been interviewed on CNN's Quest Means Business, CNBC's Squawk on the Street, Worldwide Exchange, Cash Flow and Squawk Box, FOX BUSINESS's Countdown to the Closing Bell and After the Bell, Bloomberg TV's Market Makers, CNN en Español's Dinero, Petersburg - Channel 5, Sina Finance, BNN's Business Day, CCTV China, Bankier.pl, TheStreet.com, Leaderonomics, GPW Media, Channel NewsAsia's Business Tonight and Cents & Sensibilities. In addition, Mr. Perez has been featured on Sohu, News.Sina.com, Yicai, eastmoney, Caijing, ETF88.com, 360doc, AH Radio, CNFOL.com, CITICS Futures, Tongxin Securities, ZhiCheng.com, CBNweek.com, Caixin, Futures Daily, Xinhua, CBN Newswire, Chinese Financial News, ifeng.com, International Finance News, Finance.QQ.com, hexun.com, Finance.Sina.com, The Korea Times, The Korea Herald, The Star, The Malaysian Insider, BMF 89.9, iMoney Hong Kong, CNBC, Bloomberg Hedge Fund Brief, The Wall Street Journal, The New York Times, Dallas Morning News, Valor Econômico, FIXGlobal Trading, TODAY Online, Oriental Daily News and Business Times.